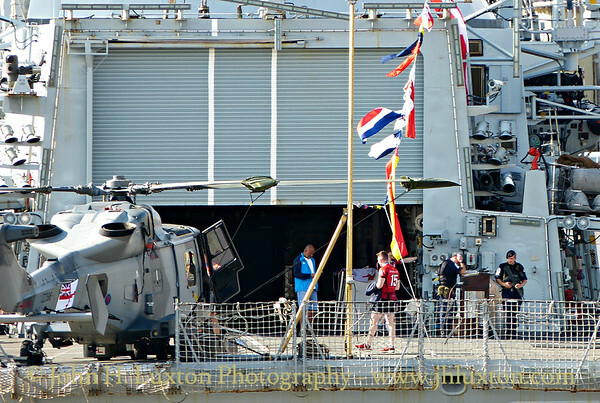 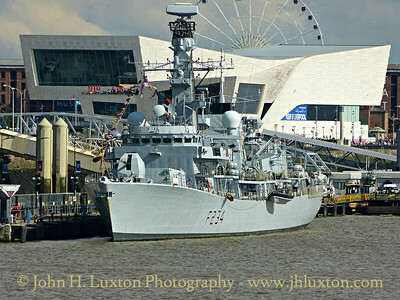 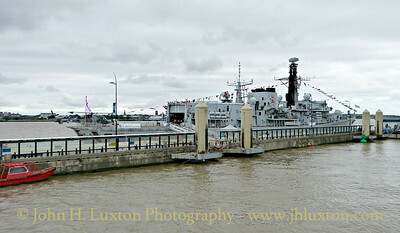 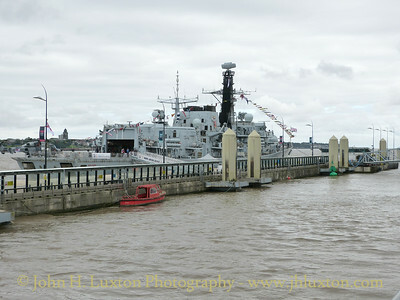 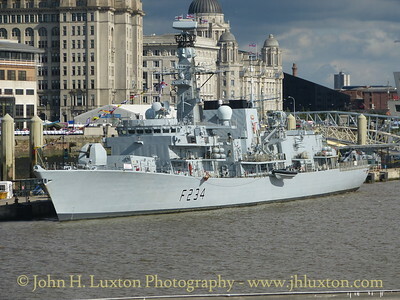 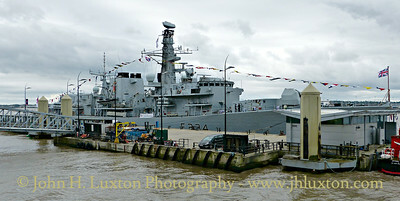 HMS IRON DUKE (F234) is a Type 23 frigate of the Royal Navy, and the third ship to bear the name. 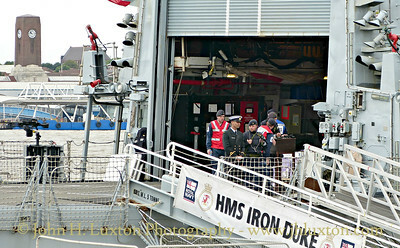 Iron Duke was launched on 2 March 1991 by Lady King in the presence of the Duke and Duchess of Wellington. 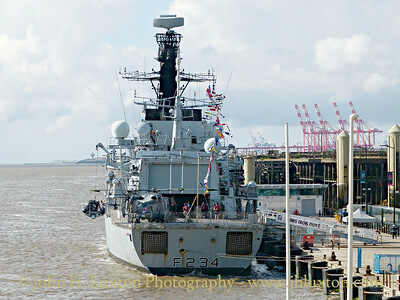 Her affiliated town is Kingston upon Hull, and she is named after Arthur Wellesley, the first Duke of Wellington (the "Iron Duke"). 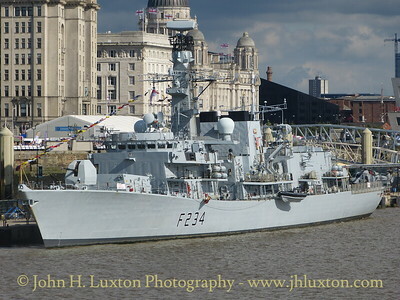 She was the fifth Duke-class Type 23 frigate to be launched for the Royal Navy, at a cost of £140 million. 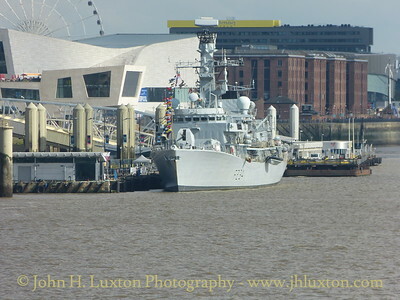 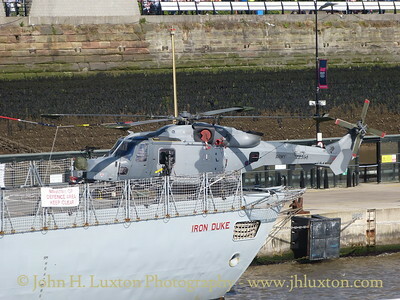 HMS ION DUKE [F234] seen alongside Liverpool Cruise Terminal on June 24, 2017. 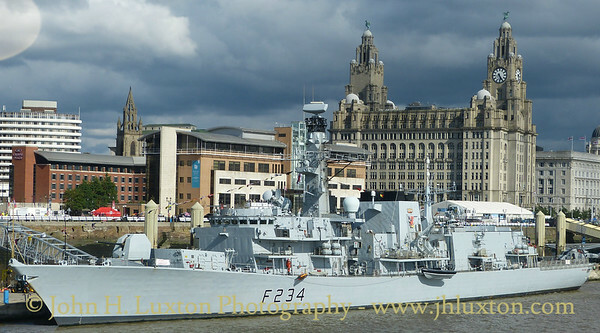 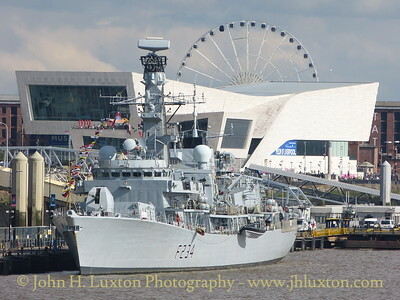 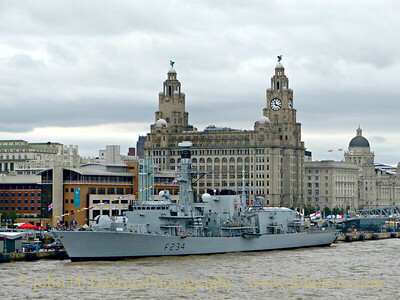 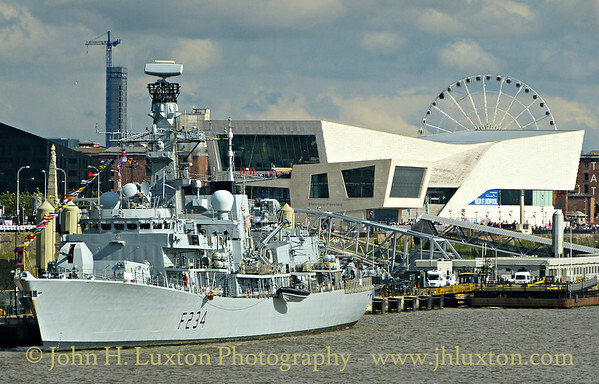 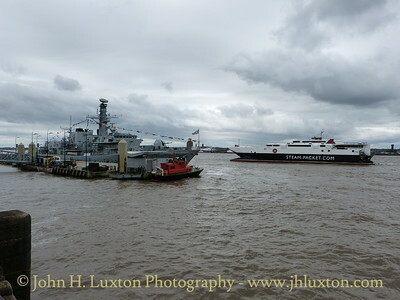 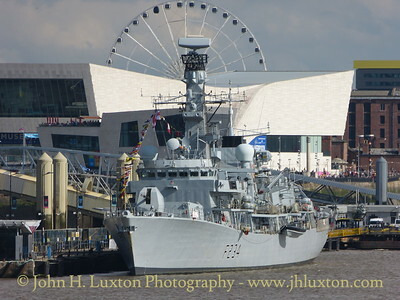 The ship was visiting Liverpool for Armed Forces Day 2017 and the Mersey River Festival.